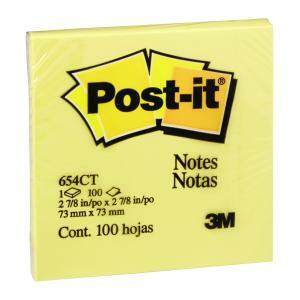 Post-it® Notes Canary Yellow are the perfect tool for staying organised in everyday life. Write notes, leave messages, create lists. The trusted canary yellow note will keep you on track in your busy week at home, work, or school.